PowerObjects takes pride in the innovative solutions we deliver to our customers, from small businesses to enterprise organizations. Over the last 20 years, PowerObjects has accumulated dozens of Microsoft Dynamics success stories that showcase our work. Browse through the case studies below to learn more. With 56,000+ homes and 130,000+ customers and tenants, Sovereign is one of the largest housing associations in the U.K. They recently initiated a digital transformation strategy that included the implementation of modern, customer-focused and scalable technology. At the heart of the project was partnering with PowerObjects to deploy Dynamics 365. Owl Rock’s main drivers for implementing Dynamics 365 were their need to better target, prioritize, and systematically manage all their contacts, as well as expand and streamline their real-time reporting capabilities. Teaming with PowerObjects gave them a partner who could deliver on both objectives. The Christman Company implemented Microsoft Dynamics 365 for Sales for a centralized platform to manage information and multiple business processes across departments. In this video, you’ll see how Sovereign Housing Association is transforming their organization digitally with the help of PowerObjects. Process and Flow Technologies, a Business Unit of National Oilwell Varco (PFT), transformed its ability to effectively manage and schedule resources worldwide, collaborate across departments, and make data-driven decisions based on real-time update by utilizing Dynamics 365 for Field Service. Birkie worked with PowerObjects to utilize Dynamics 365 for Sales and for Marketing to orchestrate all of their registration needs, maximizing the value of historic data, optimizing the experience of current registrants, and ensuring scalability for future growth. Local government authority, Colchester Borough Council, worked with the PowerObjects team of Change Management specialists and Dynamics trainers to deliver Development training at the beginning of their Dynamics 365 project and reinforcement training a year after their implementation. Learn about the solution PowerObjects delivered for Blue Cross Blue shield’s large group sales team to make sure that all employees involved in the sales process where on the same page and platform. 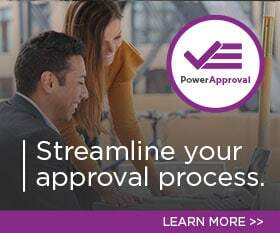 See how HealthEast streamlined their grant approval process with the help of PowerSuccess and their dedicated CRM engineer. PowerObjects worked with Brighton and Sussex University Hospital to develop a digital solution for the Virtual Fraction Clinic using a CRM Portal. As a relatively new organization, United Wound Healing wanted to get started on the right foot when building their customer base and managing their accounts. PowerObjects’ suite of PowerPack Add-ons for Dynamics 365, which add functionality to the CRM component, allow the clinic’s portal to operate seamlessly by providing a tool to measure user engagement, report on document opens, and automate prompts and reminders.